Choosing a Computer Engineering Degree | What Can You Do With One? Computer engineering is one of several computer disciplines that you can study at the baccalaureate level. What makes it unique? As a computer engineering major, you’ll learn a lot about both hardware and software systems, and you’ll become an expert in how they work together safely and efficiently. The IEEE's Joint Task Force on Computing Curricula noted that the field can be viewed as the merging of computer science and electrical engineering. Computer engineering is crucial in an age when so many objects -- from the tiny electronic devices we carry to machines that tower above us -- use computer technology. Computer engineers can work in many industries, for example, biomedical, automotive, and wireless communications. Many work with embedded systems. If you decide to pursue your degree in computer engineering, you’ll want to consider your program's accreditation. It will likely hold accreditation at both the institution and program level. School-level accreditation is imperative. Program level accreditation is also important as it indicates that the program meets rigorous discipline-specific standards. This is especially important if you work in an area that's critical to public safety. ABET's Engineering Accreditation Commission is the accrediting body for computer engineering programs. Find an ABET Accredited Computer Engineering program in your state. ABET-accredited computer engineering programs are required to have a year and a half of engineering courses (about 48 semester hours). You can expect that a majority of your engineering courses – about 30 semester hours – will be specific to the computer engineering discipline. The ABET Task Force identified 18 knowledge areas for computer engineers. Included on the list are algorithms, digital signal processing, database systems, embedded system electronics, operating systems, and social and professional issues. You will need a bit of general engineering as well. Your school may well expect you to take the Fundamentals of Engineering exam before graduation. There will be ample opportunities to apply your knowledge. Generally, application skills are demonstrated through a capstone project. Accredited programs also include a year of math and science courses. You will probably take several laboratory science classes, plus discrete mathematics, and multiple semesters of calculus. You can prepare by taking rigorous math and science courses in high school. It's as much about finding the program that works for you, though, as finding the best. Case Western Reserve had the first accredited program back in 1971. There have been many outstanding programs accredited in the years since. You might want to consider elective options as well as career services. The Task Force included several model curricula, and noted that while each met the requirements, some provided better preparation for particular careers. You may want to consider what college the CE program is housed in, as well as the strength of other departmental programs. The CE program may be housed in a college of computer and electrical engineering; such a program may provide more emphasis on electronics and circuits. 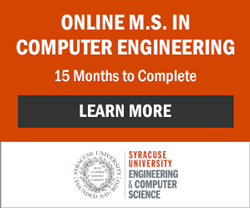 If the computer engineering program is housed in the same college as a software engineering program, students may share some elective options. Some schools give broad exposure to many areas, while others focus on particular applications. You may get to choose from quite a few electives during the third and fourth year of your program. Examples could include safety of critical systems, telecommunications, robotics and artificial intelligence, interactive software design, or graphics and multimedia.